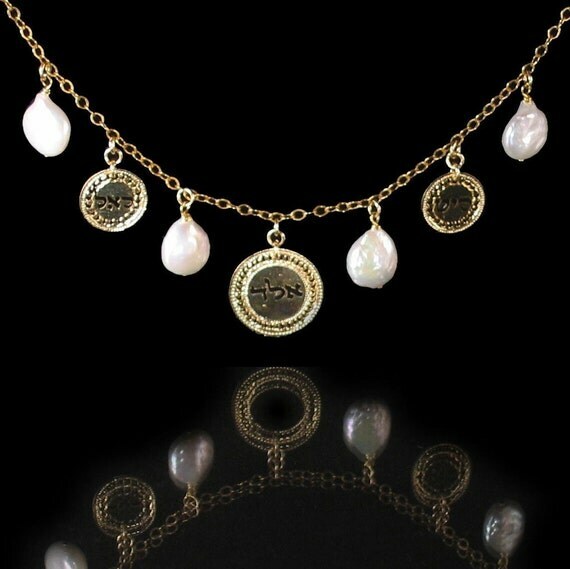 Kabbalah Gold necklace with coin pearls interchanged with gold cash that includes the Sacred names engraved in Kabbalistic biblical Hebrew. Chain size is eighteen inches, spring clasp. Here they seem on the the three gold cash, the precise sacred names will differ every time.